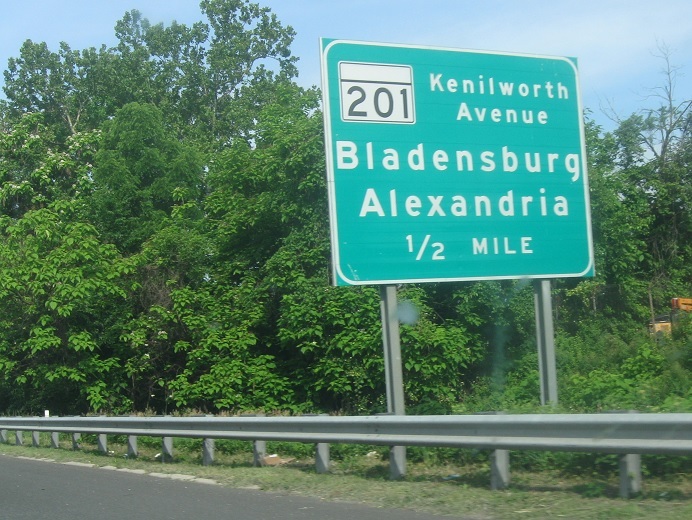 Just after MD 202, we’ll approach Marylands 201 and 295. 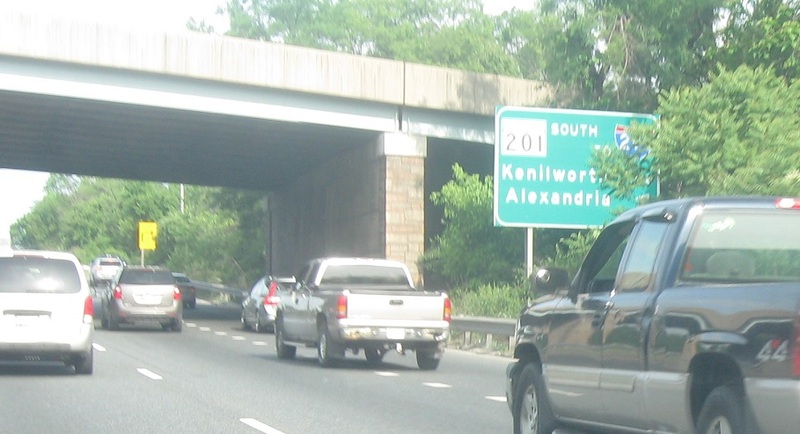 There’s no direct access to MD 295 or I-295 from US 50, but there is access via 201. 295 traffic has direct access to US 50. Exit right for 201 north. 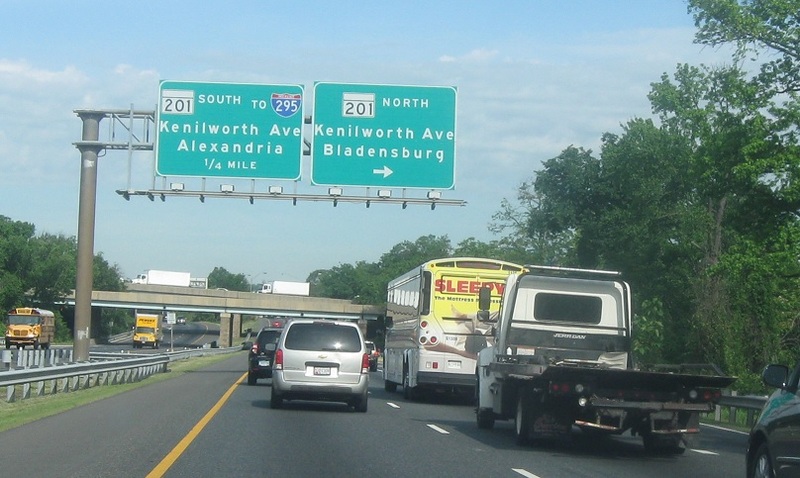 Follow MD 201 to MD 295, not I-295. I-295 is down in Virginia.